delivers the ultimate performance for the highest resolution HDTV reception. 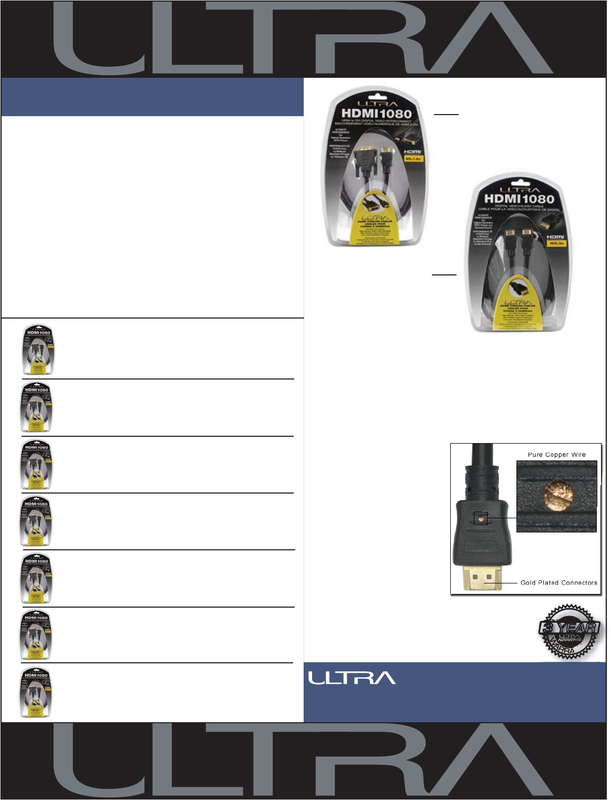 No other product can match the quality and reliability of an Ultra HDMI 1080 cable. HDMI 1080 performance without having to worry about cable failure. For worry-free cable performance, choose Ultra’s HDMI 1080 cables.